The skirt shape (barrel/cam) is one of the most functional areas on the piston, and provides stability and smooth operation in the cylinder bore. Stability is important for proper ring seal, reduced friction, and quiet operation. Each skirt shape is designed for a specific running clearance, based on coefficient of thermal expansion of the piston alloy. 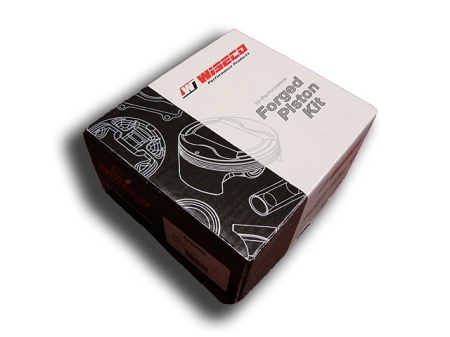 Some forging alloys expand more than casting alloys, but each Wiseco piston is designed with the proper installed clearance to produce the most power, least wear, and best seal at running temperature, for each application. Comparing installed clearances on cast vs forged parts is not indicative of the running clearance at temperature. Wiseco engineers have a strong background in all forms of racing applications, and produce the best shapes and designs in the industry. Bore size notes - Stock bores can wear slightly over time which can result in too much piston to cylinder wall clearance. 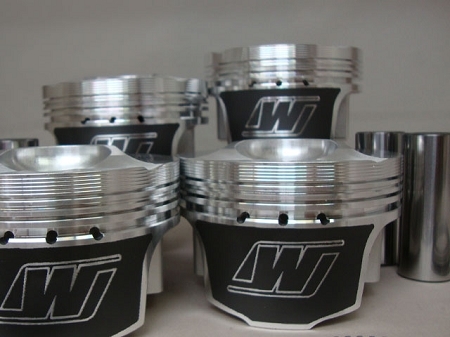 At our shop we prefer to use .5mm larger pistons which require a slight overbore on the sleeves but bore the cylinders to match the pistons exactly and keep the piston to wall clearance in the specified range. Compression ratio notes - Lower compression rates are available through custom order, however lower compression ratios are not needed for most builds. Valve pocket designs allow maximum flow around the valve, allowing the use of oversized valves and high lift cams. Piston crown shapes are designed to promote the maximum intake charge efficiency through a scavenging mixture ‘Cross Flow’ during intake and exhaust valve overlap. More fuel and air equals more horsepower. 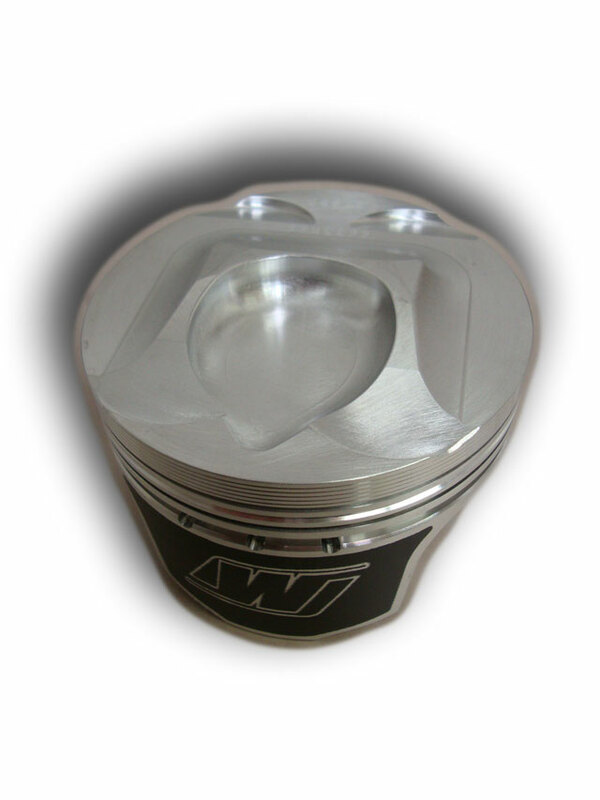 Piston domes are designed for optimal quench during the compression/ combustion cycle, resulting in resistance to detonation and pre-ignition. The end product is longer engine life and increased horsepower potential. Precision machined ring grooves with proper orifice/ accumulator volume feature calculated groove root diameters and axial widths, providing excellent surface finish and flatness, maximum ring seal, and minimized blow-by and oil consumption. 162 points will be rewarded to you when you buy this item.